I am not sure when the last time was I have seen more women in one place than at Nicki Minaj‘s show on Saturday night. The age range was quite large as well – and the second largest demographic was Minaj’s gay male fanbase. I was fascinated by the audience, such as one male fan who wore a neon rooster headband. Her fans sported glitter, tight clothes, short skirts, skimpy dresses, heels no shorter than 3 inches . . . some were more casual, but they were all there to have fun and marvel at the wonder that is Nicki Minaj. There was a lot of pink everywhere, as there should be. It’s a joyful color and made an appearance onstage as well in Minaj’s pink and black striped tiger ensemble with short shorts. 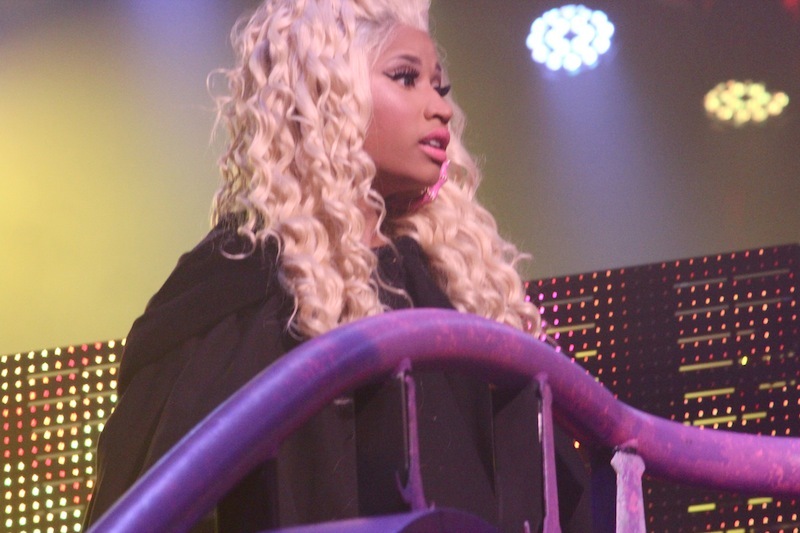 There were backup dancer – male and female – and Minaj revealed how devastatingly hot a performer she is. Also, I purchased a Roman necklace, one of my favorite recent buys. Written by: Dagmar on 08/16/2012. This entry was tagged nicki minaj, posted by dagmar. Bookmark the permalink.